Most Iranian Persians have never met a Jew, nor have the masses of Arabs in nations surrounding Israel; nor even have many Palestinians living in Israel crossed paths with an Israeli Jew. Nor the vast majority of Russians, Europeans, Orientals, or Africans. Yet individuals and nations the world over inexplicably denigrate and demonize Jews, and disparage Israel. How is it that anyone can harbor such hate for a race of people, against someone (anyone) they know little about? How can anyone like or dislike someone they’ve never met? There are no rational or realistic answers to these questions. Which, I suppose, constitutes the very definition of Anti-Semitism—a baffling, bizarre, and blind animosity that goes well beyond passive intolerance. Even for those who have only a moderate dislike for the Jews, for those whose mindset is normally that of live and let live, there is a sense that something must be done about them. Wherever you look the evidence is unmistakable: Anti-Semitism is on the rise again. Long ago, God predicted this would happen. With such detail that precise passages of Scripture have been repeated virtually word for word by those who have never read any part of the Bible. Indeed, by those who hate the Bible, the God of the Bible, and the people of the Book … both Jew and Christian. When the prophetic words of Scripture are mouthed by international leaders who detest Israel, then we can know beyond any doubt that the end times are upon us. Listen to the words of the Psalmist written some 3000 years ago: “O God, do not be silent! Do not be deaf. Do not be quiet, O God. Don’t you hear the uproar of your enemies? Don’t you see that your arrogant enemies are rising up? They devise crafty schemes against your people; they conspire against your precious ones. ‘Come,’ they say, ‘let us wipe out Israel as a nation. We will destroy the very memory of its existence’” (Psalms 83:1-4). “The Zionist regime will soon be destroyed, and this generation will be witness to its destruction.” (Hojatolesiam Ali Shirazi, Khamenei’s representative in the Revolutionary Guard, 2014). I selected this quote because of the ominous overtone that Iran intends to carry out this diabolical agenda soon, in this generation. 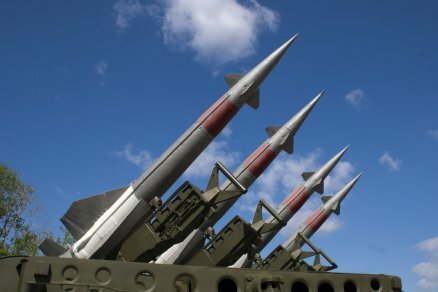 To demonstrate that Iran is absolutely serious about this malicious objective, Major General Yahya Rahim Safavi, a top military aide to Iran’s Supreme Leader Ayatollah Ali Khamenei, recently warned that the Islamic Republic of Iran was (imminently) ready to annihilate Israel and possessed the capability to do so because of thousands of missiles in its arsenal. In last week’s Part I article, two historical precedents were presented to show what God has done (and, therefore, will do) to nations that haughtily and deliberately defy God, and challenge him or Israel to prove that the true and living God is greater than the might of those leaders and nations. Now we’ll look at another remarkable event to validate (1) that God will, in fact, directly intervene when his Divine red line of authority and sovereignty has been crossed; and (2) why he providentially silences the schemes of certain nations. “Then they will learn that you alone are called the Lord, that you alone are the Most High, supreme over all the earth” (Psalms 83:18). First, we need to remember that God’s hand of judgment was sometimes just as heavy against his own people, as it was against Israel’s enemies. With one major difference: Time and time again, the Lord told his people that he would (supernaturally) preserve a remnant of Jews and ultimately bring the Jews back to Israel to possess the land promised to them forever by God. Contrasted to utter destruction and disappearance of several Gentile nations that oppressed and suppressed the Jews, especially those nations that brutally conquered Israel. But when the Jews listened to, obeyed, and followed God, the Lord was always with them in good times and bad times, most prominently during times of war. More often than not, the Israelites had to follow the natural course of things, and defend themselves … fight for their freedom and security. However, no matter the odds—if God was with them, no one could stand against them. The extent of God’s support of Israel during wartime was completely up to God and his divine purpose and plan, both short-term and long-term. Whether it was a hard-fought battle with substantial Jewish casualties, or whether it was 300 Jews under Gideon defeating a vast Midianite army against insurmountable odds, they were predictably victorious when God was with them. But there was one stupendous victory in Israel’s history of warfare that defies all natural or logical explanation. It was accomplished by God’s direct divine intervention that resulted in a humiliating defeat of the greatest nation on earth at the time … Assyria. This happened in 701 B.C. during the reign of Israel’s King Hezekiah and Assyria’s King Sennacherib. The resounding rout over Assyria occurred when this mighty empire was at its zenith; moreover it was a direct result of Sennacherib’s (Assyria’s) audacious arrogance toward Israel and spiteful pride against God, himself. Keep in mind that Assyria had previously vanquished the ten northern tribes of an already divided Israel, in 722 B.C. God had not only predicted this horrible event would take place, but had actually used the Assyrians as an instrument of his judgment against Israel. But God’s prophets had also prophesied the inevitable destruction of the southern tribes of Israel; with, however, one major distinction. It would not be Assyria that would conquer Judah … it would be Babylon. 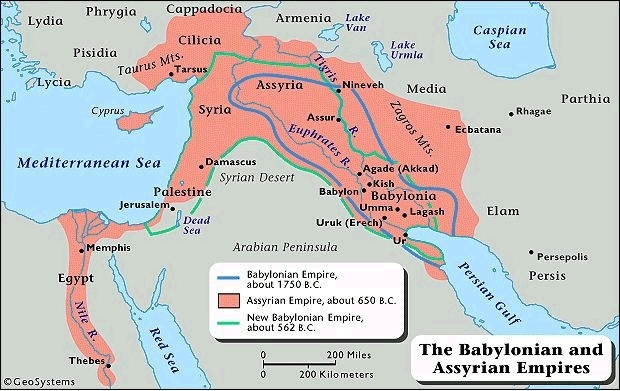 The reason it wouldn’t be Assyria is because Assyria, by that time, would be utterly destroyed by Babylon! All of these events were foretold by God through his prophets before they happened. Both Biblical and secular history attest to the fulfilled accuracy of many amazing prophecies. Note: Nowhere in the Koran do we find any prophecies as such, let alone those naming future people and nations and actual events in astonishing detail. That alone should tell us who is God and who (Allah) is not. Well, it’s too bad that Sennacherib had ignored these prophecies and instead had gloated in the knowledge that God had used Assyria to discipline northern Israel (the ten tribes). Yes, it’s evident that Sennacherib knew this, but then decided that he would misuse this information to justify attacking Judah. Essentially then, he twisted what God had said and God’s plan for southern Israel, which was to give Judah much more time to repent and turn back to God. In fact, it would be over one hundred years before Judah would finally fall to Babylon. Listen to these boastful words of the Assyrian King delivered to King Hezekiah through a messenger: “What’s more, do you think we invaded your land without the Lord’s direction? The Lord himself told us, ‘Attack this land and destroy it’” (Isaiah 36:10). As indicated, that was a distortion of what God had done through the Assyrians, i.e. that Assyria was used only to punish the ten northern tribes. Sennacherib went on to say: “Don’t let Hezekiah mislead you by saying, ‘The Lord will rescue us!’ Have the gods of any other nations ever saved their people from the king of Assyria? What happened to the gods of Hamath and Arpad? And what about the gods of Sepharvaim? Did any god rescue Samaria from my power? What god of any nation has ever been able to save its people from my power? So what makes you think that the Lord can rescue Jerusalem from me?” (Isaiah 36:18-20, italics for emphasis). Why did I italicize two of the sentences in the above passage? Read them again. First, Sennacherib made a big mistake by saying, did any god rescue Samaria from my power? Samaria, as you may recall, was the capital of the ten northern tribes of Israel. Thus, the Assyrian king deliberately included God, himself, as just another one of the gods who were powerless to resist the might of Assyria … while conveniently forgetting that it was The Lord who empowered Assyria in the first place to discipline (northern) Israel. Sennacherib was obviously talking out of both sides of his mouth. “You come to me with sword, spear, and javelin, but I come to you in the name of the Lord of Heaven’s Armies—the God of the armies of Israel, whom you have defied. 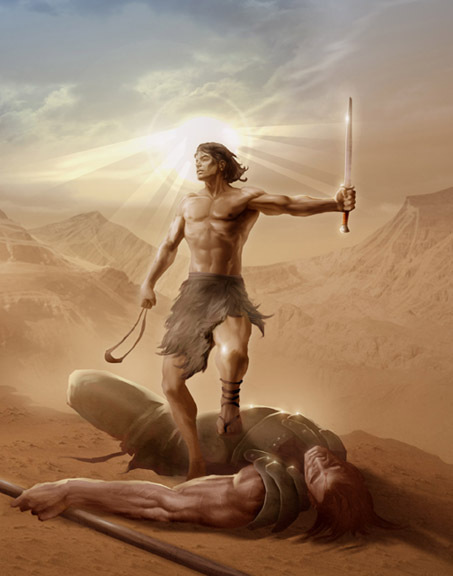 Today the Lord will conquer you, and I will kill you and cut off your head … and the whole world will know that there is a God in Israel … that the Lord rescues his people, but not with sword and spear. This is the Lord’s battle, and he will give you to us!” (I Samuel 17:45-47). Once again, notice the choice of Sennacherib’s words: He didn’t insult Hezekiah by asking whether the Lord would rescue Jerusalem. Rather, he said sarcastically: “what makes you think the Lord can rescue Jerusalem.” His mockery was crystal clear: the Lord God of Israel couldn’t deliver Jerusalem even if he wanted to. Why? Because Sennacherib and all of Assyria made the same mistake that other nations have made down through the generations, including modern-day Iran. Which is that the God of Israel is not really God. That they and their (false) god or gods are supreme and they have, therefore, the divine right to annihilate Israel. It get worse. In a second dispatch to King Hezekiah, Assyria’s arrogant king goes one step further by telling Hezekiah that the God of Israel mislead them. Here are his words: “…Don’t let your God, in whom you trust, deceive you with promises that Jerusalem will not be captured by the king of Assyria” (Isaiah 37:10). Then the message goes on with rhetoric that repeats what was said in the first message. Really big mistake! 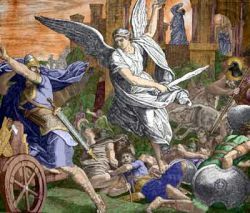 When Sennacherib accused the Lord (the God of all truth who does not lie) of deceiving Israel, he sealed his fate and the fate of the Assyrian army which had besieged Jerusalem into near starvation. Enough was enough. The rest of the story shows that God through the prophet Isaiah told Hezekiah not to worry about the Assyrian king’s “blasphemous speech against me…” That Sennacherib would soon return home and be killed with a sword. Hezekiah also pleaded with God to spare Jerusalem, and God answered his prayer. “That night the angel of the Lord went out to the Assyrian camp and killed 185,000 Assyrian soldiers. When the surviving Assyrians woke up the next morning, they found corpses everywhere. Then King Sennacherib of Assyria broke camp and returned to his own land. He went home to his capital of Nineveh and stayed there. One day while he was worshipping in the temple of his god Nisroch, his sons … killed him with their swords…” (Isaiah 37:36-38). You think?! The stunning overnight loss of 185,000 soldiers would make any king lose his taste for war and conquest. You read that right: 185,000 troops killed by just one of God’s angels. Not a spear thrown, or arrow shot, or sword thrust by an Israeli soldier. The victory was resounding and complete and all at the hand of God. There wouldn’t have been one surviving Assyrian soldier who would have dared to fight against Israel any longer; for to do so would have been to fight against the God of Israel. They had seen what happens when their king defies the true and living God by making himself greater (more celestial) that God, himself. How divinely and prophetically ironic! Not only did this egotistical king of the most powerful nation on earth die exactly as God predicted, but he did so at the hands of his own sons, and while worshipping what he assumed was a divine god. Which in realty was a worthless, useless, impotent, false, man-made god that couldn’t even protect Sennacherib from his own sons. Yes, God answered Hezekiah’s prayer, not only to rescue Judah, but in order that (as he always does in these kind of supernatural interventions), “…all the kingdoms of the earth will know that you alone, O Lord, are God” (Isaiah 37:20). 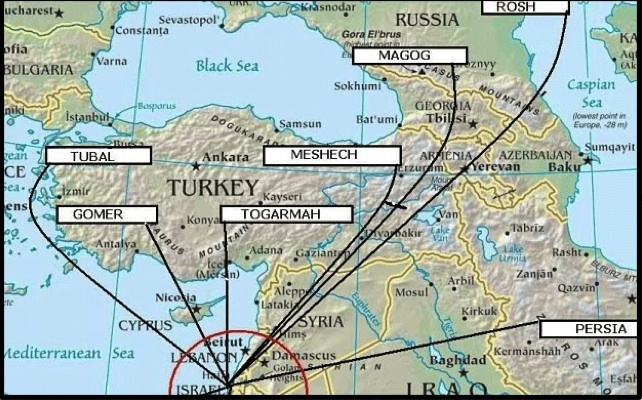 Several Eye of Prophecy articles have been written about the coming Gog/Magog invasion of Israel, spearheaded by Russia; to include other prominent nations, the most vicious of which is Iran. Thus, this article will be confined to two essentials of this incredible prophecy found in Ezekiel 38 & 39. According to Ezekiel, Israel’s only contribution to this devastating defeat of the vast hordes from Russia, Iran, and smaller nations will be to pick up their enemies’ weapons from all over the land. And, that it will take Israel, “seven months for the people of Israel to bury the bodies and cleanse the land. Everyone in Israel will help, for it will be a glorious victory for Israel when I demonstrate my glory on that day, says the Sovereign Lord” (Ezekiel 39:12-13, italics for emphasis). The italicized phrase depicts the second reason and purpose for God’s magnificent victory over what would otherwise be an enemy far too strong for Israel. As with the stunning display of true heavenly power by the one and only God in our examples of Egypt, Babylon, and Assyria; so, too, will Russia and Iran’s crushing defeat during the Gog/Magog invasion of Israel prove who is Divine and who is not. “…Then all the nations will know that I am the Lord” (Ezekiel 38:16). 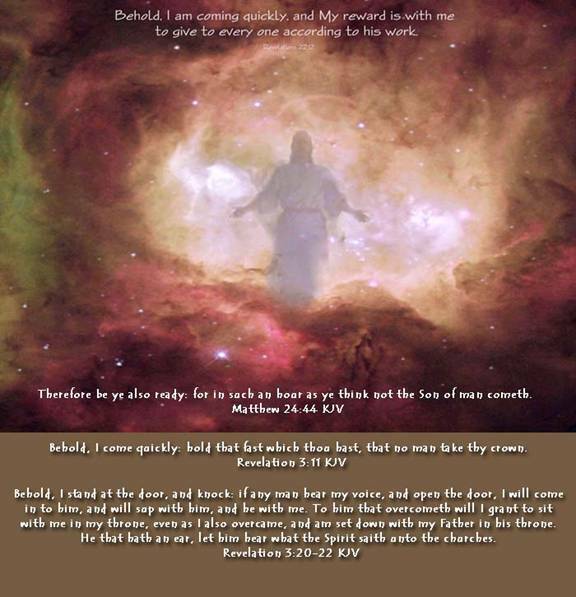 Again God declares: “…I will show my greatness and holiness, and I will make myself known to all the nations of the world. Then they will know that I am the Lord” (Ezekiel 38:23). But also, Israel, will truly know and understand. “In this way, I will demonstrate my glory to the nations. Everyone will see the punishment I have inflicted on them (meaning God and Magog) and the power of my fist when I strike. And from that time on the people of Israel will know that I am the Lord their God. The nations will then know why Israel was sent away to exile—it was punishment for sin, for they were unfaithful to their God. Therefore, I turned away from them and let their enemies destroy them” (Ezekiel 39:21-23). Yes, most noble Ayatollah of Iran and your invincible Republican Guard … you and your allies like Russia would be wise to take heed of the ignoble and demoralizing defeat of your ancestors in the Persian Empire, and of the Egyptians, the Assyrians, and the Babylonians. And don’t forget about the once mighty Roman Empire. But you will forget, you will ignore. Yet your inglorious demise will not come at the hands of the United States or even from Israel, though they may soften you up with deadly preemptive strikes. No, your final defeat will come at the hands of the Almighty God of Israel, the Lord of all who believe in his Messiah, who have been redeemed by his great sacrifice for the human race. We can amplify that by rhetorically asking: When the moment of truth comes, who will wipe whom off the face of the earth? Who will crush whom beyond all recognition? The end of this age is near, very near. The soon return of Messiah Jesus, our Great God and Savior, is at hand. The balloon of boasts from nations like Iran and from people the world over against Jews and Christians is too full of hot air (rhetoric) not to burst. Something has to give. And when it does, Christ will intervene. And when he does, “The whole earth will acknowledge the Lord and return to him. All the families of the nations will bow down before him. For royal power belongs to the Lord. He rules all the nations” (Psalms 22:27-28). “…He will bring justice to the nations” (Isaiah 42:1). “The Lord will march forth like a mighty hero; he will come out like a warrior, full of fury. He will shout his battle cry and crush all his enemies” (Isaiah 42:13). “From his mouth came a sharp sword to strike down the nations. He will rule them with an iron rod. He will release the fierce wrath of God, the Almighty, like juice flowing from a wine-press. On his robe at his thigh was written this title: King of all kings and Lord of all lords” (Revelation 19:15-16). “Therefore, God elevated him to the place of highest honor and gave him the name above all other names, that at the name of Jesus every knee should bow, in heaven and on earth and under the earth, and every tongue confess that Jesus Christ is Lord, to the glory of God the Father” (Philippians 2:9-11). “I, the Lord, will punish the world for its evil and the wicked for their sin. I will crush the arrogance of the proud and humble the pride of the mighty. I will make people scarcer than gold … For I will shake the heavens. The earth will move from its place when the Lord of Heaven’s Armies displays his wrath in the day of his fierce anger” (Isaiah 13:11-13). “In that day the heir to David’s throne will be a banner of salvation to all the world. The nations will rally to him, and the land (Israel) where he lives will be a glorious place” (Isaiah 11:10).